I love cooking with coconut oil, but as it’s naturally solid at room temp and has quite a distinctly coconutty flavour, it’s not always easy to work with. 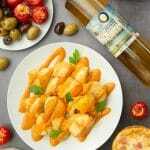 As such, I’m enjoying partnering with Pura Coconut Oil Blend to experiment with cooking using their new pourable oil. Pura is made with coconut oil combined with rapeseed and sunflower oil, which makes it stable in a liquid state. 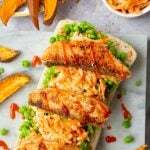 As well as being convenient and reducing preparation time, it’s also high in Omega 3 and lower in saturated fat than standard coconut oil. Another plus is that it’s flavourless, so you can use it even in dishes that wouldn’t suit a coconutty flavour. You might have spotted me using Pura Coconut Oil Blend in a gluten-free, dairy-free orange and almond cake last week. This week, I put it through its paces again with a delicious twist on traditional potato latkes. 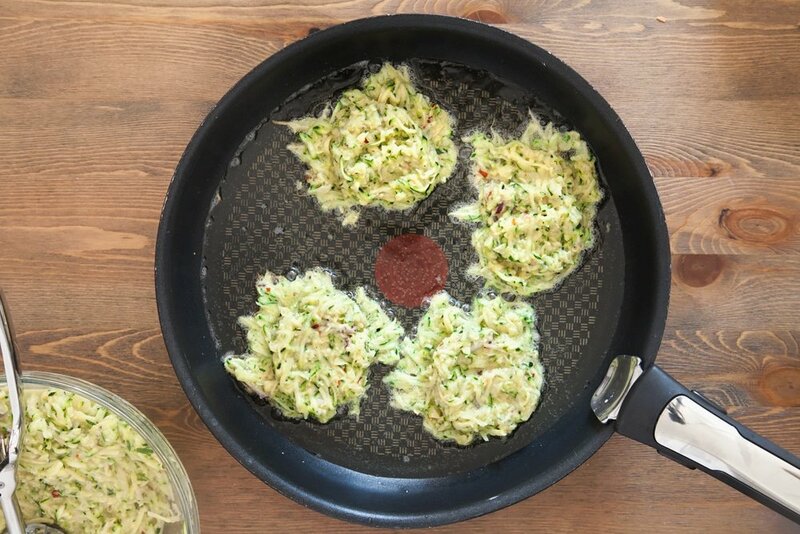 I first picked up this idea of zucchini latkes from this recipe, and went on to tweak the batter recipe and add flavour with chilli flakes and garlic. 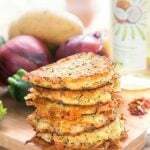 The result is a flavourful latke with a crispy outer and spicy, juicy, creamy inner. Here’s how to make then. 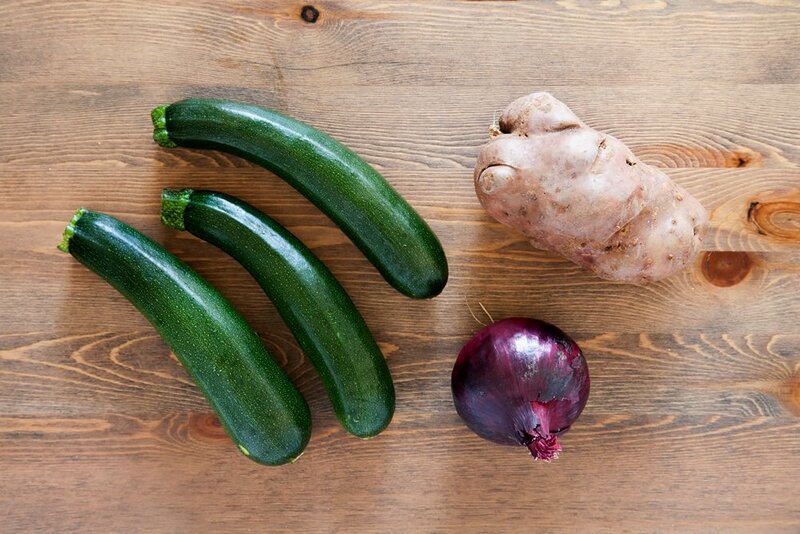 Peel the potatoes and onion, top and tail the courgettes, then grate on the medium side of a grater. 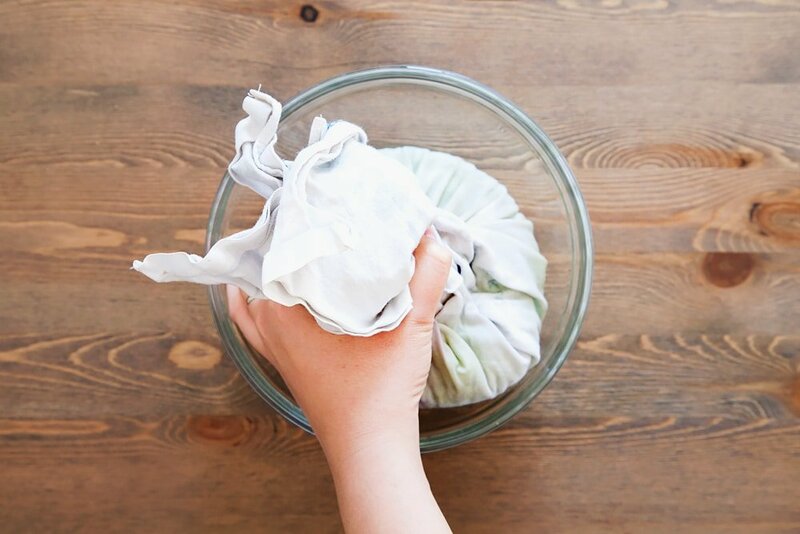 Put the grated vegetables in a clean, cloth tea towel. Twist and squeeze over a bowl until no more liquid comes out. 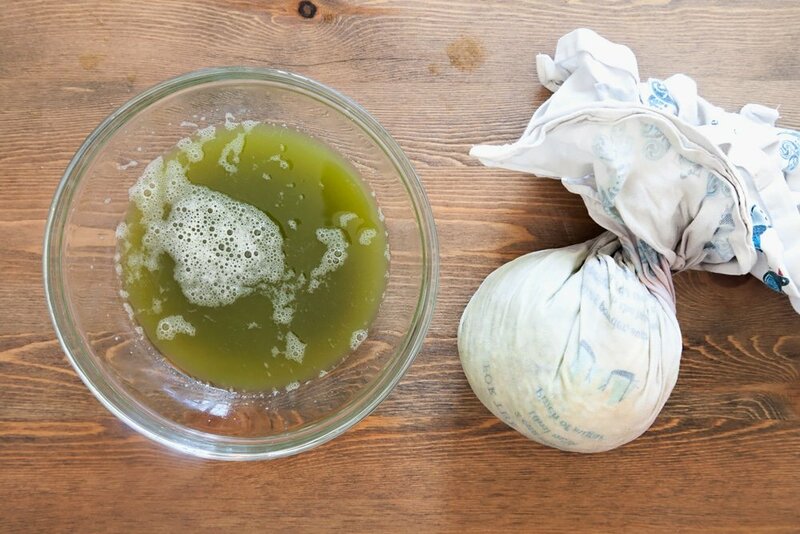 You can throw the liquid away, or decant it into a sealed container for use in a soup later. 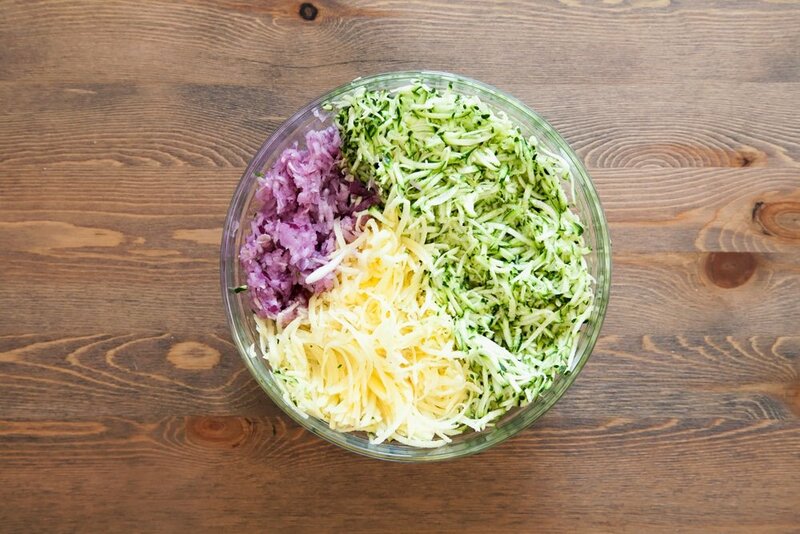 Return the grated veg to the bowl. 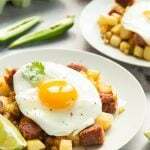 In a separate bowl, mix the eggs with the flour, garlic and a pinch of salt and pepper until smooth. Don’t worry if there are a few lumps. 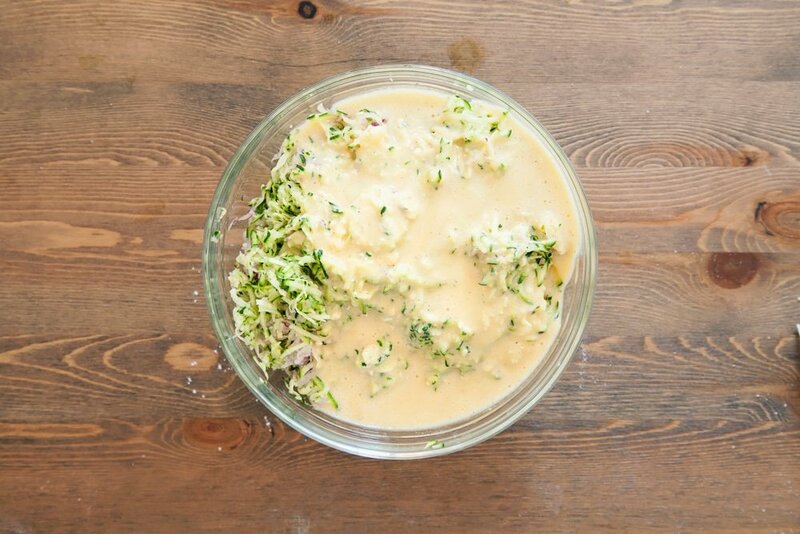 Pour the egg mix onto the grated vegetables and mix well. I find a fork works best for this job, just make sure you get right down to the bottom of the bowl so that everything is evenly coated. Sprinkle on the chilli flakes and mix well again. Pour the oil into a frying pan until it’s about 1/2 inch deep, then place over a high heat. 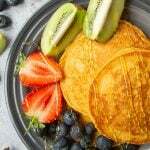 Turn down to medium and use an ice cream scoop to pick up the batter, flatten off on top and dolloping into the pan – it should start to sizzle immediately, but if you find they’re browning almost immediately, turn the heat down some more. Fry for about 5 mins until browned underneath, then use a slotted spatula to flip them oven and fry for a couple more minutes until evenly browned on both sides. 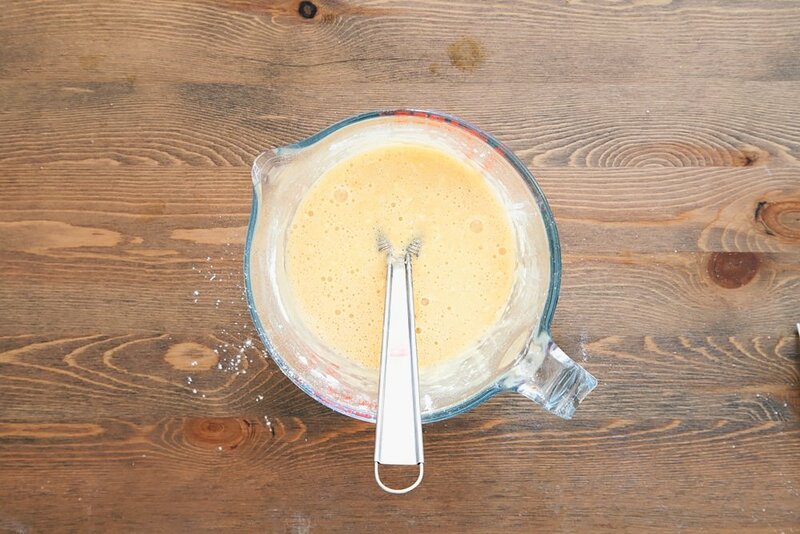 Drain on paper towels and repeat until all the batter is used up before serving. They’re wonderful for lunch with a crunchy pepper salad. I hope you try them – if you do, please pop back and let me know how you got on. What are you thinking of serving them with? 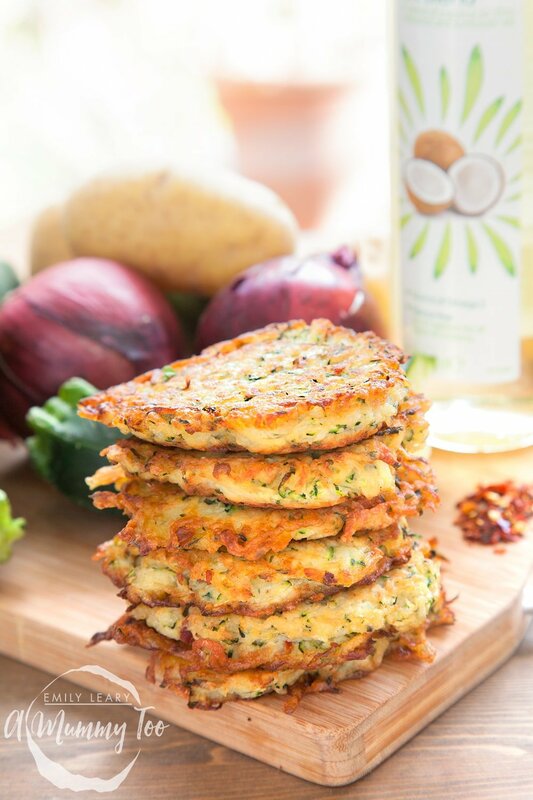 To make things easier, here’s a printable version of the recipe for these delicious spicy courgette latkes. Just hit the PRINT button on the recipe card below. 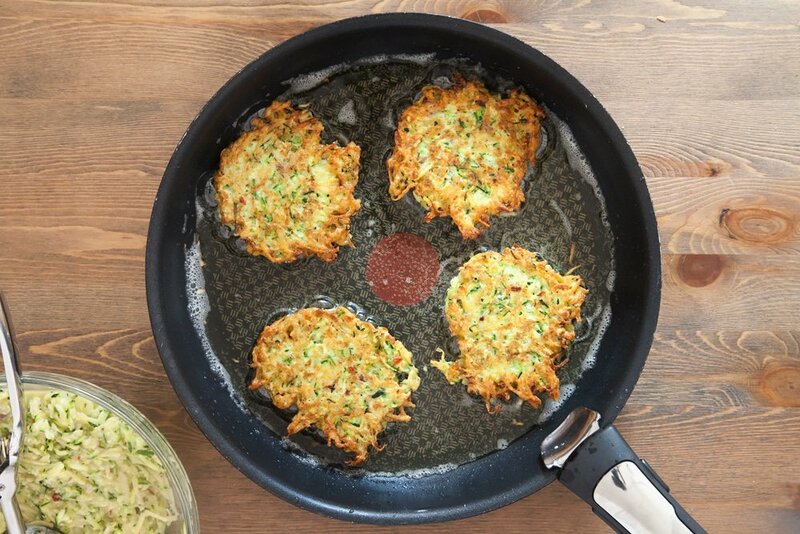 A twist on traditional potato latkes, these have the addition of chilli and courgette (zucchini), resulting in a crispy outer and spicy, juicy, pancake-like inner. 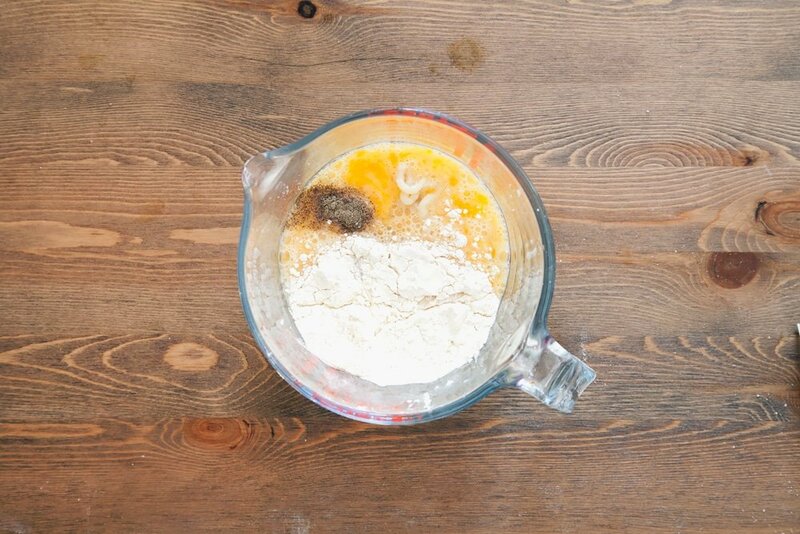 In a separate bowl, mix the eggs with the flour, garlic and a pinch of salt and pepper until smooth. Don't worry if there are a few lumps. Pour the oil into a frying pan until it's about 1/2 inch deep, then place over a high heat. Turn down to medium and use an ice cream scoop to pick up the batter, flatten off on top and dolloping into the pan - it should start to sizzle immediately, but if you find they're browning almost immediately, turn the heat down some more. Drain on paper towels and repeat until all the batter is used up before serving. They're wonderful for lunch with a crunchy pepper salad. Pura Coconut Oil Blend is available from ASDA, Sainsbury’s and Morrisons, priced at £4 for a 500ml bottle. The Spray comes in 200ml bottles RRP £2.50. 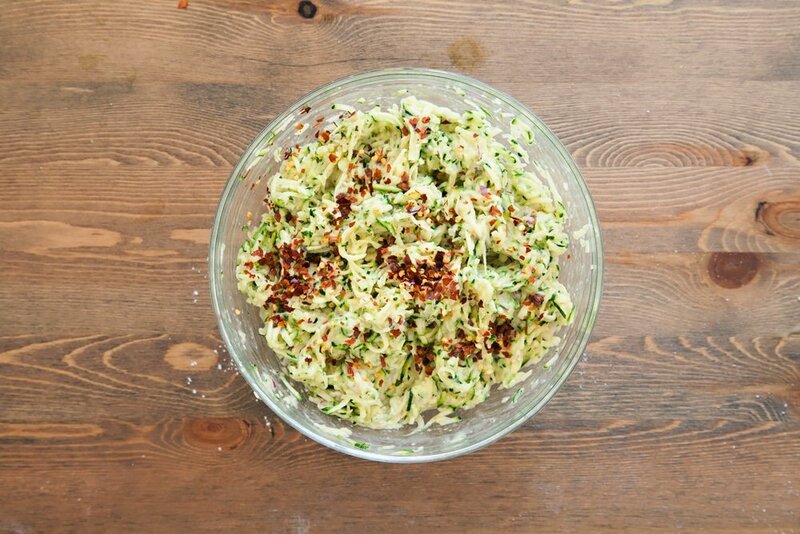 Looking for more ideas on how to use courgettes in your recipes? 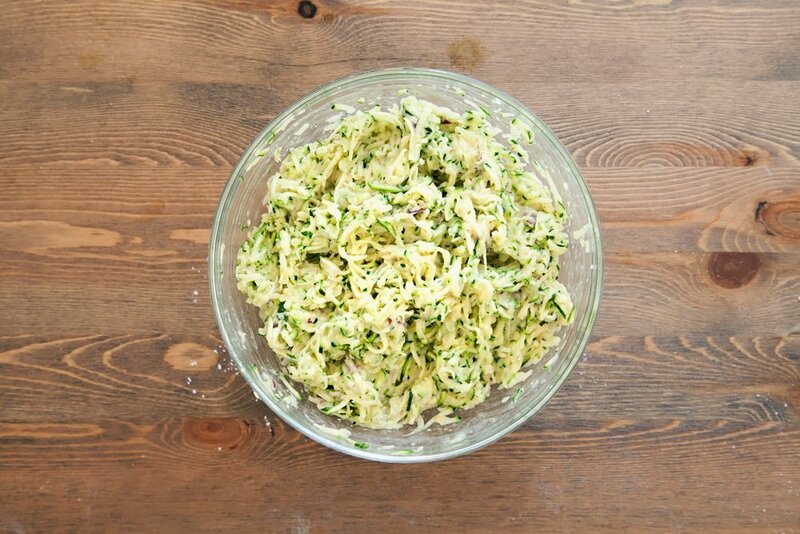 Try my post on courgettes four ways! This is a commissioned post for Pura Coconut Oil Blend. 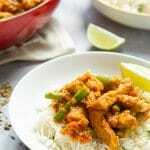 I tried this recipe and enjoyed it. I added chopped parsley, fennel seed and tagine to add spiciness. I did not have a cheese cloth so I squeezed the water out with a paper towel which was a bad idea as the paper towel became soggy and broke into bits. I either did not get all the water out or I did not have enough flour as the mixture was still a bit wet and was not binding together very well. I added panko bread crumbs which helped the mixture to bind. I have to watch my cholesterol so I sauteed the latkes in coconut oil on both sides which browned them nicely. I didn’t fry them. However the shredded potato in the center was not quite fully cooked. Next time I will experiment by adding ginger spice to the mixture and I will bake the latkes. 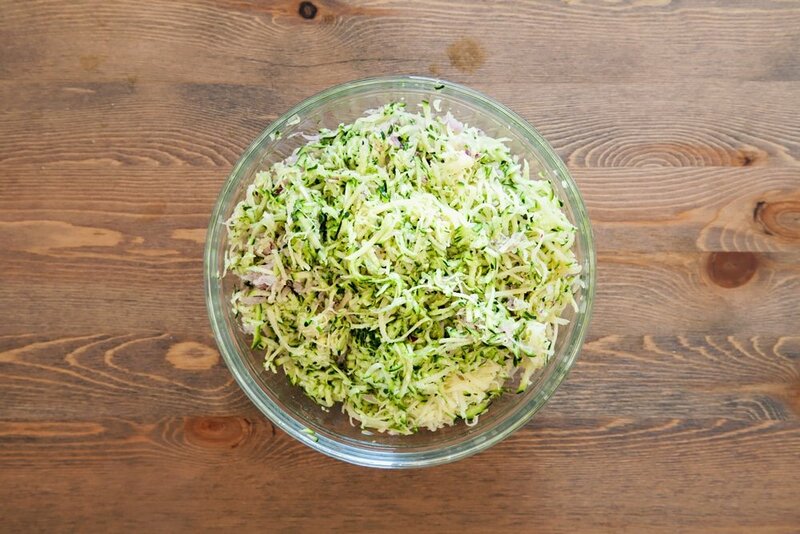 I might even try adding shredded coconut which might be a bit wild, but who knows? I served the latkes with mayo on the side and they were tasty. Thanks for this recipe. I use the big tubs of coconut oil normally but this would be far easier! This feast looks so tasty! I love this oil and bought some a few weeks ago. These look delicious. These look really lovely! I love using chilli and lime in my recipes. Oh my god! these look delicious! could dive in for one right now! These sound delicious. I love courgettes and spicy food so I think I would enjoy these. Mm these look delicious! I’ll have to give them a go. Ooh these look super tasty! The recipe is really easy to follow too, thanks! 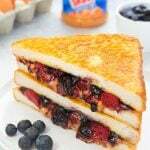 ohh, a dollop of cream cheese on top, and these’d be absolute heaven! I like the sound of this recipe. It sounds very delicious. These look delicious and must be really healthy too which is of course an added bonus. YUM! I love how this post is set out and your photography. 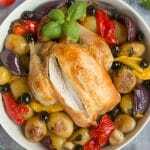 The recipe is really straight forward and easy to follow and the food looks delicious! 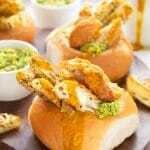 OOhh these sound and look yummy! I will be giving these a try! We call these courgette fritters in our house, and they always go down well. It’s nice to start the day with lots of veggies. Oh yum, those turned out so well. It would be awesome to try making latkes like this! These look so good and they’d probably go with a lot too. Nice! What a yummy idea! I love making anything courgett-y, so will definitely be trying this! 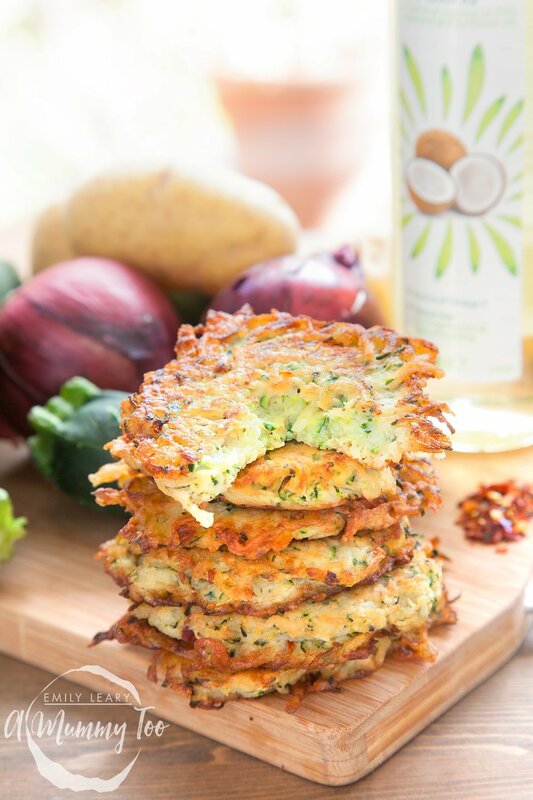 This looks amazing, I love the sound of cooking the latkes with coconut oil and it looks delicious!